Lovers of Italy and its culture will enjoy the new art prints from BandagedEar.com. Each culture has unique architecture, food and other distinctive characteristics. To celebrate the beauty and diversity of Italy, BandagedEar.com is committed to increasing its inventory of art prints and posters of this Mediterranean country. 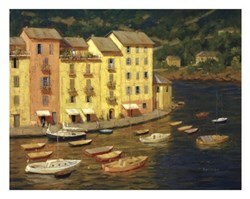 Discover art prints of Venice, Tuscany, Italian art, Italian culture and much more. After choosing the perfect artwork, BandagedEar.com shoppers can then choose from over one million different framing configurations to create a one-of-a-kind framed art print. The new art prints are available now. Customers can enjoy a 25 percent discount on all prints and framed art prints from BandagedEar.com for the remainder of August. For more information, visit http://www.bandagedear.com.